In my car Zach and James are right next to each other so someone could still sit in the backseat if they are forced so want. When we were in St. Louis and rented a car we separated the boys. This lead to a huge meltdown on the part of Zachary. 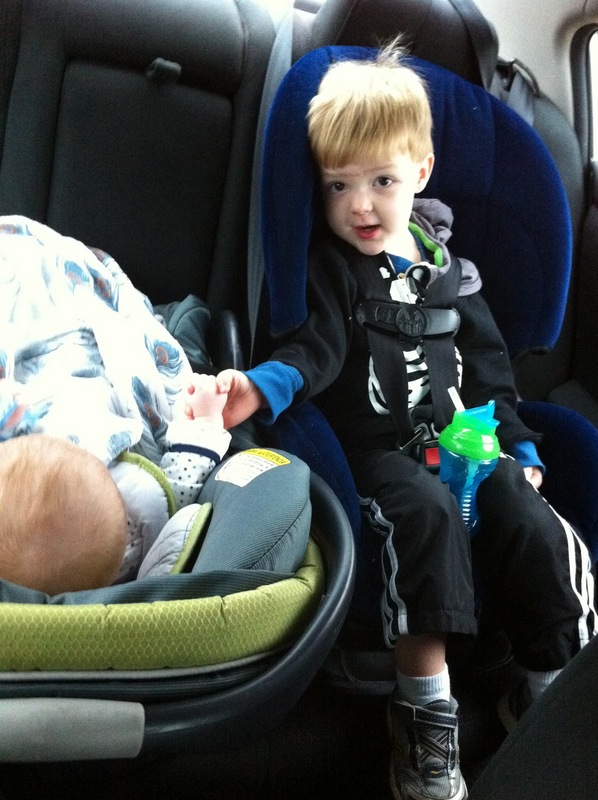 He loves to hold James’ hand in the car – no matter if James likes it or not. I do often hear, “Mommy his hand is wet!” to which I reply, then don’t hold his hand. That is not an option. « Do I look too thin in this hat?